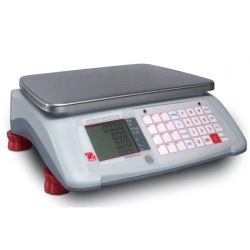 For secure and easy transportation the Ohaus Aviator 7000 retail scale includes practical design features such as ergo grips and integrated cable storage. NTEP legal for trade, Dual Range capacity, 30 lb or 60 lb capacity price computing scale stands out from the crowd. Choice of standard battery or rechargeable. The Ohaus Aviator 7000 has been conceived to offer optimum quality versus price in order to guarantee the robustness, operating speed and accuracy you need, whatever your retail environment. The Light-Touch layer keyboard is setting standards thanks to its fast operation, easy cleaning and cost efficiency, while the large 4-line LCD including separate tare line makes daily tasks simple. For secure and easy transportation the Aviator 7000 from Central Carolina Scale includes practical design features such as Ergo grips and integrated cable storage. 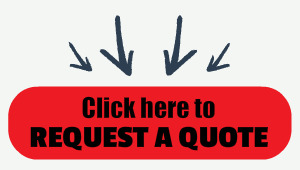 In addition it offers POS protocol support. Overall the Aviator 7000 offers you a complete package of features rarely seen on an entry level price-computing scale - ensuring that it stands out from the crowd. Aviator® 7000 is available as a compact or tower model. 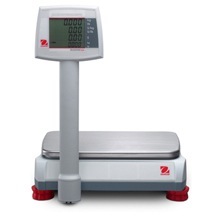 Both models are available in the following dual weighing ranges: 15 x 0.005 lb / 30 x 0.01 lb and 30 x 0.01 lb / 60 x 0.02 lb. Aviator 7000 is able to process weighing signals extremely fast to help speed up your tasks. Thanks to its 100 PLU memory and 24 preset keys, it is also able to perform numerous operations such as calculating change, weighing with a 100g price unit, setting fixed unit prices, working with preset tares or using the Hold function when an item is removed from the plate. You can also add your own customised preset card. Aviator 7000’s bright LCD display contains four lines: 6-digit weight and unit price lines; a 7-digit total price line; plus a fourth 4-digit preset tare line for complete tare transparency. The backlight can be switched on or off according to the ambient lighting and to save power the scale automatically goes into the sleep mode when not in use. Two ergonomic grips on the lower side of the scale combined with its light net weight make it extremely easy to transport. The Aviator’s adjustable non-slip rubber feet make levelling simple and ensures that the scale does not move around whilst in use. For complete mobility, the scale can be powered by rechargeable NiMH batteries or standard alkaline D-cell commercial batteries at the flip of a switch. POS protocol support enables the user to connect an external printer or a POS. Thanks to this printer interface, accumulating, printing sales and log reports are standard features of the Aviator 7000. With built-in cable storage, your work area is kept tidy, transportation is simple and the risk of mislaying the power cable is eliminated. To help avoid accidental damage, the power plug is also specially protected.